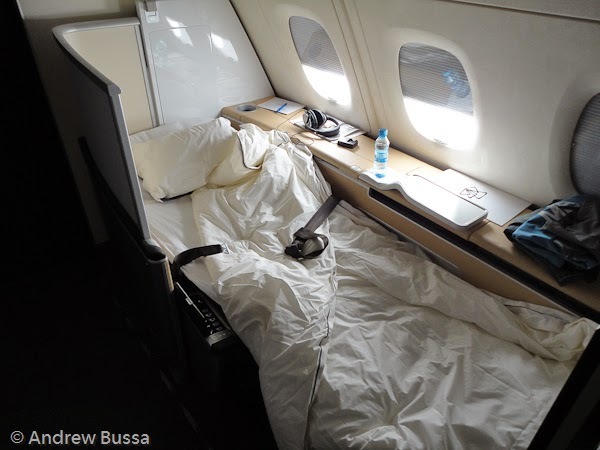 The first class seats on long haul airliners make better beds than seats on business jets. Airliners have heavy mechanical seats that convert into beds. 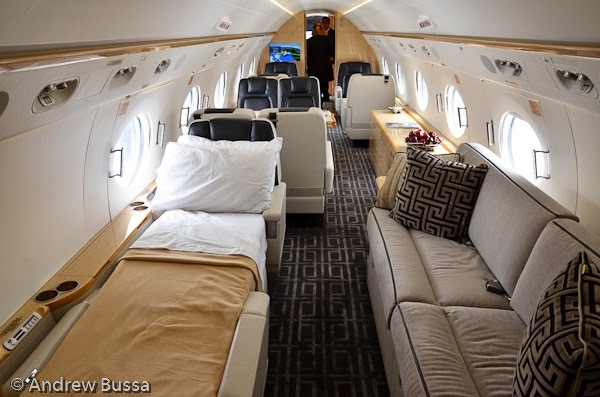 Business jets need to save weight, so they fold flat and then have a mattress pad added (the flight attendant should make your bed in either case). Also one bed takes up two seats, so overnight flights run at reduced capacity. Not every aspect of private aviation is better than flying commercial.